Kris, Mary-Jane, and their four children: Baylee, Dawson, Ayla, and Colton are excited to join the Kids Alive team in Peru! Mary-Jane grew up in Fayetteville, Arkansas and Kris grew up as a missionary kid in Brazil. They met while attending College of the Ozarks in Branson, Missouri. Kris received his degree in Elementary Education and Mary-Jane graduated with a Sociology degree. Right after college, they married and completed two years of Bible school, followed by two years of missions training with Ethnos360. 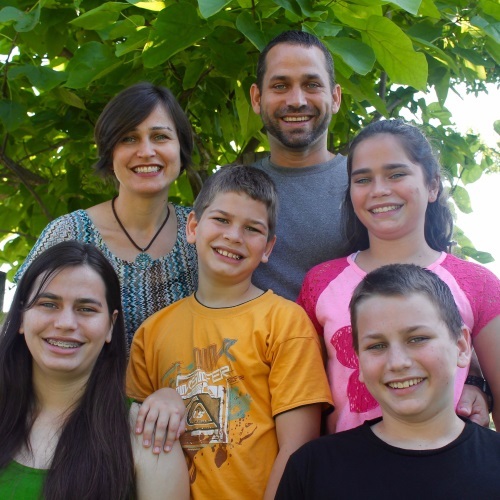 The Howe family served with Ethnos360 for nine years in Brazil and two years in Peru. During their time in Peru, the Lord opened doors for them to join Kids Alive in reaching the children of Peru with the Gospel. The Howes will be serving at the Mission TEC Care Center in Pucallpa. Kris and Mary-Jane will also be involved in outreach and building relationships with the families of the children that attend the care center. They would love to hear from you and know how they can pray for you. Please drop them an email or keep up with the ministry happenings through their blog, howeskidsalive.wordpress.com. Support the Ministry of Kris and Mary-Jane Howe with Your Gift Today.